Most people who are considering cosmetic dentistry in Arlington are aware of the cosmetic dental procedures that are frequently advertised in the area. There are porcelain veneers, a custom made wafer-thin covering permanently attached to the front of a tooth to make it stain-free and perfectly shaped. Veneers can repair small chips and crack in teeth that are free of decay. Many Stephen Ratcliff Family & Cosmetic Dentistry patients get minimally invasive veneers on their top six teeth for a dramatic improvement. Orthodontia has also received a lot of attention in the past twenty years with the introduction of invisible and short-term braces. And braces are not only for ‘tweens and teenagers. At Stephen Ratcliff Family & Cosmetic Dentistry in Arlington, we have seen more adults straighten their teeth to achieve sensational smiles with discrete orthodontic treatment. Porcelain crowns have been around for generations but continue to restore decayed or damaged teeth while providing beauty, strength and natural function. Porcelain crowns are also used with revolutionary dental implants to restore missing teeth. 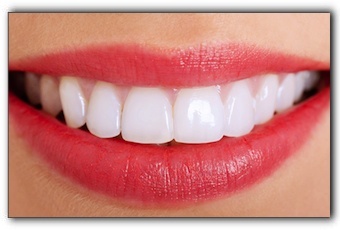 A cosmetic dental procedure that is lesser known in the Arlington area is crown lengthening. If you feel that your teeth appear too short or that your smile exposes more gum than you would like, you may be interested in crown lengthening. Crown lengthening surgery is a safe and effective procedure that exposes more of the visible part of the tooth while minimizing the vertical length of exposed gum tissue. When a gummy smile is corrected with cosmetic dentistry in Arlington, our crown lengthening patients are often surprised at how it positively affects their whole face. They love their new smile which reveals pleasing, symmetrical portions of their upper teeth that have been hidden under gum tissue their whole life. Sometimes, crown lengthening is used when a tooth is fractured at the gum line. The surgery makes tooth structure accessible for the necessary restoration. Digital imaging helps Grand Prairie dental professionals perform crown lengthening with exactness. A highly-detailed, 3-D image of tooth and bone structure allows the cosmetic dentist to contour a gum line to the patient’s exact specifications. If you would like to find out if any of these procedures are right for you, schedule a consultation by calling Stephen Ratcliff Family & Cosmetic Dentistry at 817-274-7875. We are located at 909 W Mitchell St in Arlington. We look forward to showing you photos of patients who are enjoying their new look.